Kevin DeYoung presents a popular-level treatment of sanctification and union with Christ, to help readers be like Jesus. Why We Love The Church? The Hole in Our Holiness is that evangelicals don’t look particularly holy, and, despite the flood of gospel-centered discussions, there seems to be a greater focus on personal depravity than on the pursuit of holiness. Looking to right the balances, Kevin DeYoung presents a popular-level treatment of sanctification and union with Christ, helping readers to see what matters most—being like Jesus. He shows how one can be like Christ in being joined to Christ. 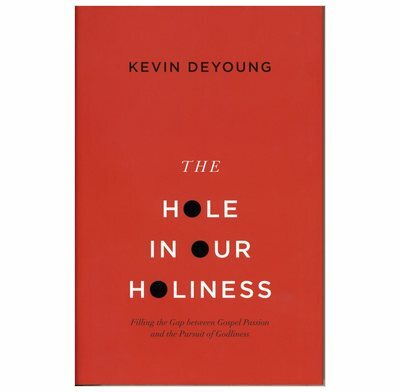 We read this in our book group of about six ladies in our 30s who have all been Christians for at least seven years and found it an excellent challenge to be striving for holiness. It gives lots of Biblical reasons about why it is important to strive for holiness and addresses very specifically the issue that many Conservative Evangelicals don't strive for holiness because of wanting to avoid teaching salvation by works.